Having a 5month old has made me stop and reconsider my style. While I was quite content with my ‘pregnancy look’, I am still caught in the middle between my old pre-pregnancy wardrobe and my post-natal attire. While on a day-to-day basis this can be most frustrating, it has given me a chance to stop and readdress my look. What do I want my style to say to the world?! What is my style now?! Impeccable style to me… it’s a natural elegance and an unmistakable chic calm that exudes someone’s demeanour and can ignite a room. It’s a cleanliness and simplicity. It’s a quiet confidence and polished point of view that differentiates someone’s style from all of those around them. Like most women in the world, I aspire to be stylish (especially at this moment in my life when up until recently sleep deprivation was ongoing). So for this interim period of my wardrobe life, I have reinvented my style to embrace basic, key pieces that can take me from day to night; from play dates to business meetings. 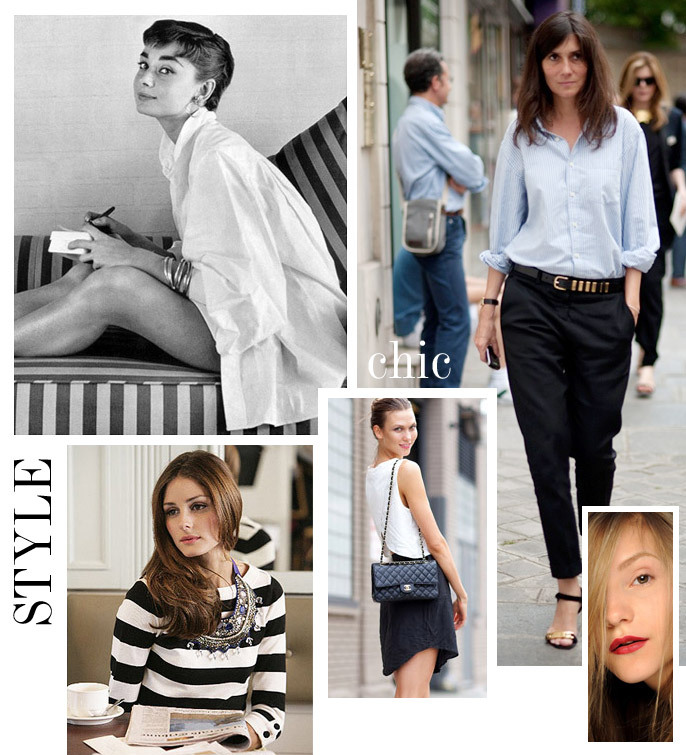 Men’s style white shirts; skinny navy trousers; soft grey knits; little black dresses – have become my go-to pieces. While red lipstick shades; neatly manicured fingernails; sweet ballet flats; and exquisitely crafted handbags – my fail-safe accessories. Going back to basics can give your look a clean slate and eliminate any of the white noise around your style. Polished, fresh and unpretentious, wardrobe basics should really be called wardrobe must-haves. Enduring style requires a classic colour palette. A beautiful soft grey; navy; camel; red; and of course black – easily create timeless pieces and enable you to build a solid wardrobe foundation. As my look continues to evolve with this exciting stage of my life, I am looking forward to finding, embracing and loving my own personal style. Cara – I love this post, as someone who will be going on her second mat leave soon and also strives to look chic and comfortable while off.